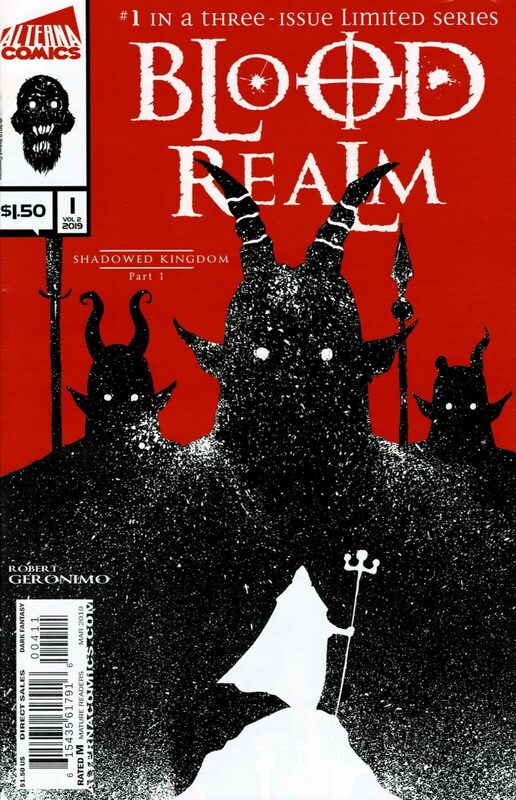 Alterna Comics Blood Realm: Shadowed Kingdom Part 1 is the follow-up to writer/artist Robert Geronimo’s fan favorite miniseries from 2018. The original Blood Realm story finished well and Geronimo was smart not to create a straight sequel, but a new adventure in the same universe. Fantasy and horror fans will be just as satisfied as longtime comic book readers with Alterna’s newest offering for mature audiences. Blood Realm: Shadowed Kingdom Part 1 is a unique book that doesn’t conform to typical narrative structures or artwork in the industry. 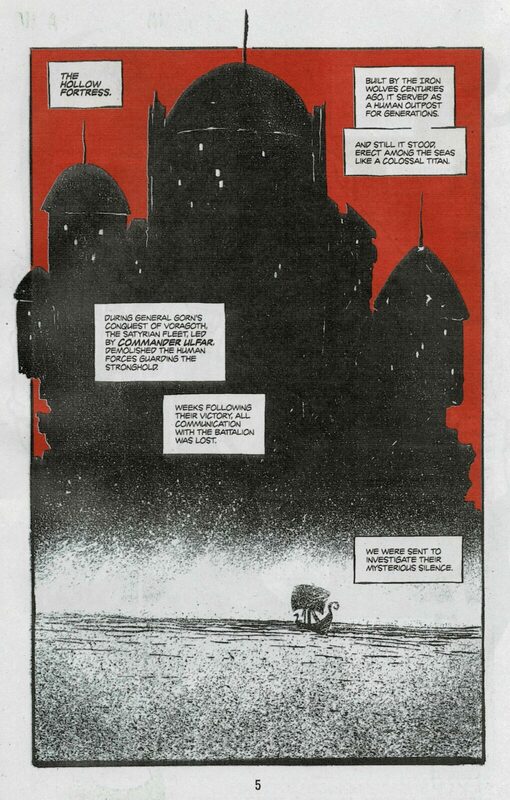 Robert Geronimo uses a contrast of white, red and black that create an eerie atmosphere for the book and is distinctive to the series. Robert creates many visually stunning pieces, including the newly introduced Hollow Fortress. I do have a small critique with his use of black on red. 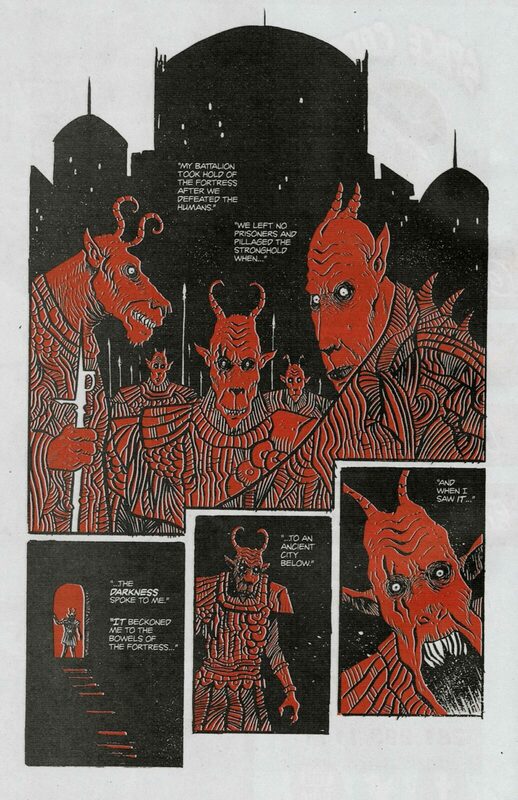 Sometimes, the uses of red has a tendency to drown out some of the outstanding detail he creates with his line art. Robert revisits some of the great creatures from the original series, like the Saytrian warriors, but also introduces a terrifying new monster in Shadowed Kingdom. He has talent for creating frightening creatures and his style fits the Tolkein inspired setting to a T. If you enjoyed the art in the original series you’ll be very happy with Blood Realm: Shadowed Kingdom Part 1, as it stays to true form. While the art remains terrific, Geronimo has grown immensely as a writer from Volume 1 to 2. Readers are introduced to the soldiers on a quest to find the Skorn Legion, the highest order of Saytrian warriors. The story is narrated by Olek, a Mage Knight assigned to the Saytrian battalion, and he acquaints readers to Captain Grennix, the quest’s leader. Grennix commands from the front and gained his position with military acumen and the skill of his blade. He’s a fearless leader with a sense of honor and he’s easy to root for, despite the Saytrian’s being the villains in the first book. Geronimo does a great job building an aura around the Hollow Fortress. Grennix encounters a Saytrian lieutenant, Commander Ulfar. He explains that a darkness from the bowels of the fortress called to him and eventually drove him and his soldiers mad. He and his men later devoured those who didn’t turn. There’s an evil lurking in the Fortress that the band of warriors are sure to encounter as the series progresses. The battalion discover an enormous pit and Olek finds himself drawn to the chasm. The warriors wait anxiously before Captain Grennix decides they will enter the pit. 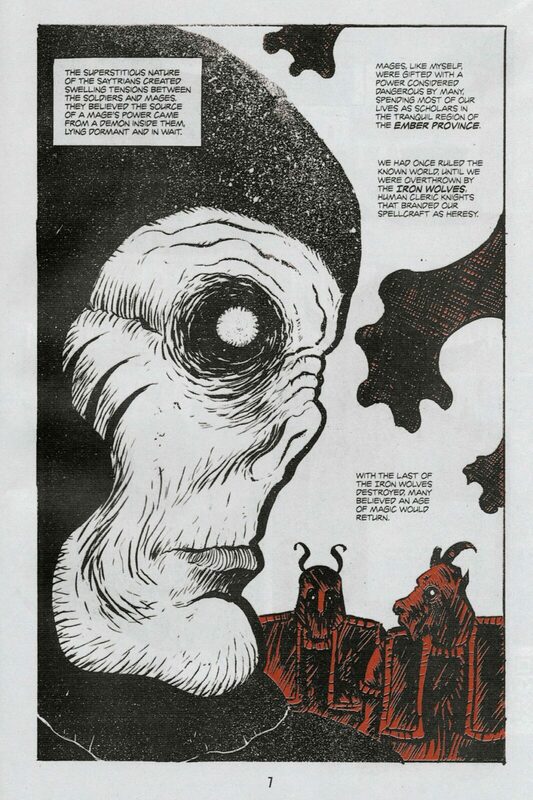 The pace of the book is very brisk and Geronimo has done a perfect job creating a cliffhanger for part 2. Blood Realm: Shadowed Kingdom is a unique series in an industry of imitators and pretenders. Robert Geronimo’s singular vision for fantasy/horror adventure serve the genres well, Shadowed Kingdom lives up to its predecessor and then some. PREVIOUS POST Previous post: Joker Trailer: The Perfect Film for Incels?